A New Year brings new trends in the kitchen industry and our experts are here to take the guess work out of what’s in and out for the year. 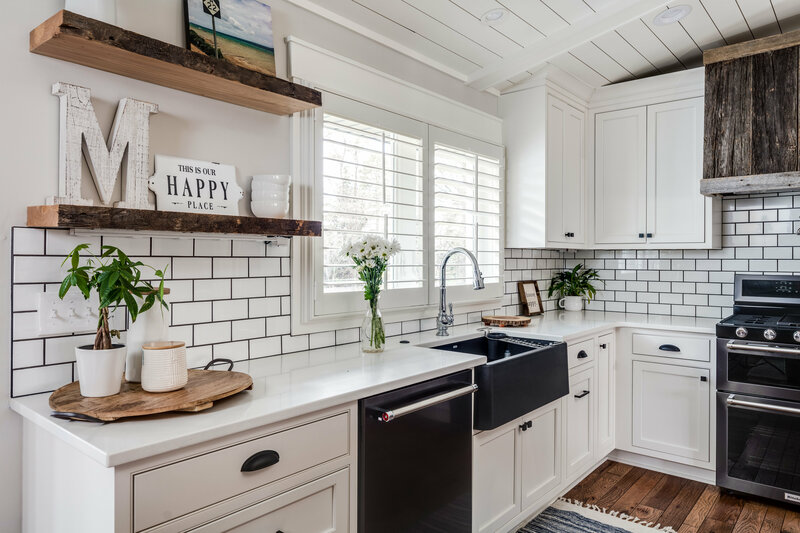 Whether you’re planning to remodel your kitchen or just get inspired for a small refresh, there’s a whole new look of design trends coming your way. Our designers are happy to share the top 10 kitchen design trends to expect this year… enjoy the inspiration! Open Shelving : We’re well aware of the cons for open shelving in the kitchen… the dust! The messy flatware! But don’t forget the pros! 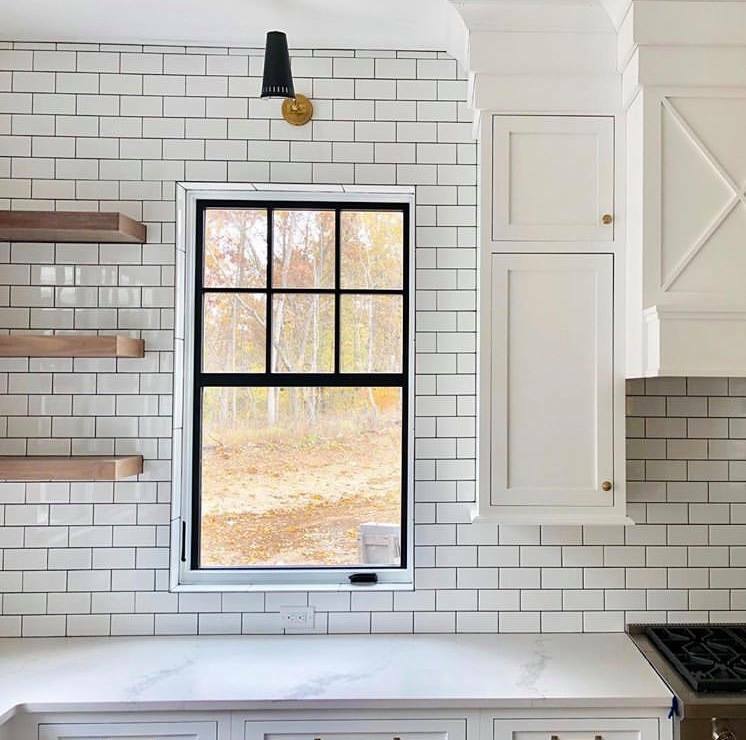 We’re here to tell you this trend of open shelving is here to stay and making a bold statement in kitchens everywhere. We are loving the look in different materials like reclaimed wood, glass and different metals. Matte black: Who doesn’t love the slick feel of a matte finish? 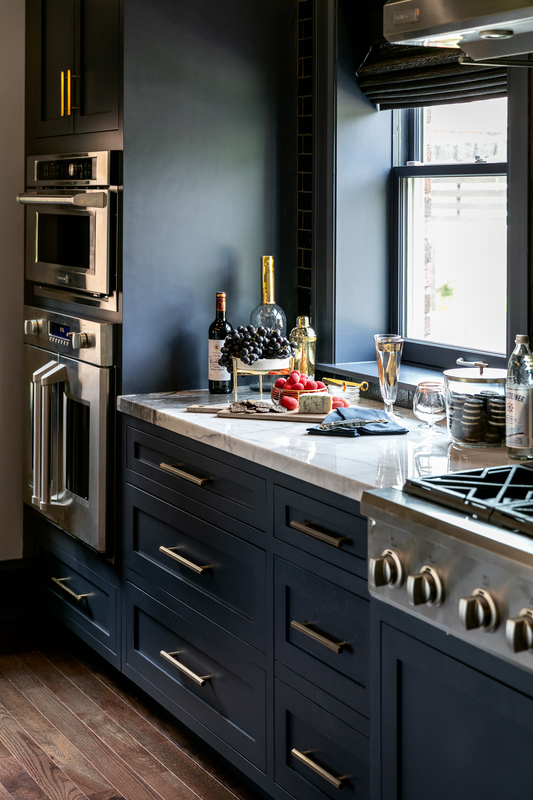 In addition to black matte cabinetry, the color will continue to be a predominate finish for all things in the kitchen, including hardware, fixtures and appliances. Can we get three cheers to less fingerprints compared to the stainless appliance trend of yesteryear? Brass is back, baby! : Like it or not, brass in the kitchen is here to stay. We’re loving this hue in all the things, but especially hardware, faucets and pendant lighting. Digital Technology: Digital technology will continue to drive innovation and new gadgets in the kitchen allowing homeowners to target appliances to their unique tastes. Any avid coffee drinkers? How about a wi-fi enabled espresso machine! Wine aficionado? How about adding in a single pour preservation system that identifies the best bottle to pair with dinner? Colored cabinetry: We are seeing more and more statement kitchens incorporating cabinetry in deep grays and blues. These colors pair beautifully with our previous trend of brass hardware and fixtures. Pendant Lighting: Statement hanging pendant lighting is HUGE right now given the popularity of the open concept kitchen, dining and living spaces. This trend is like candy for the eyes! Statement Hoods: Eyesore no more! Why shouldn’t an appliance so large make a (stylish) statement in the kitchen? We’re loving the idea of statement hoods in all types of materials, whether it is plaster, wood, or metals or a combo of both. What statement is your kitchen going to make? 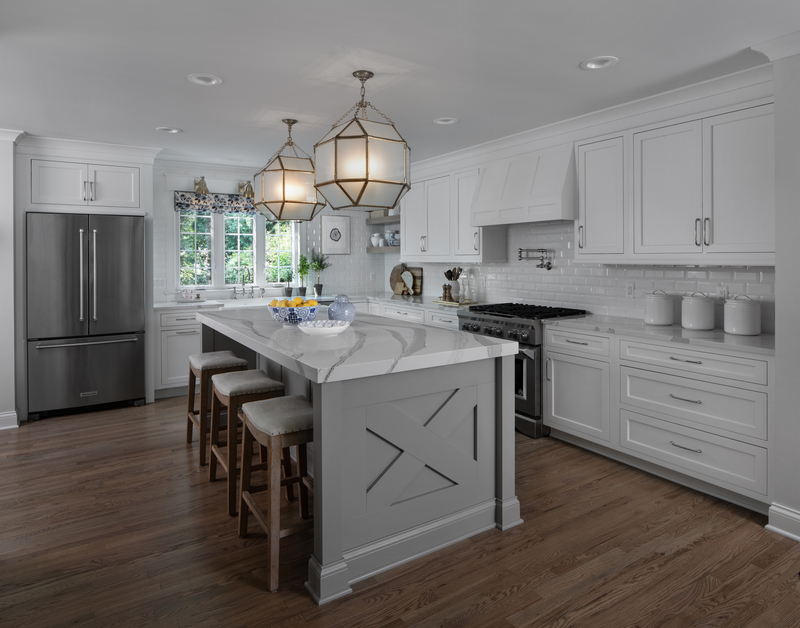 Two-toned cabinetry: Not a new concept in any way, but trending more and more popular is the trend of two-tone cabinetry. Want to incorporate this trend with a fresh take? 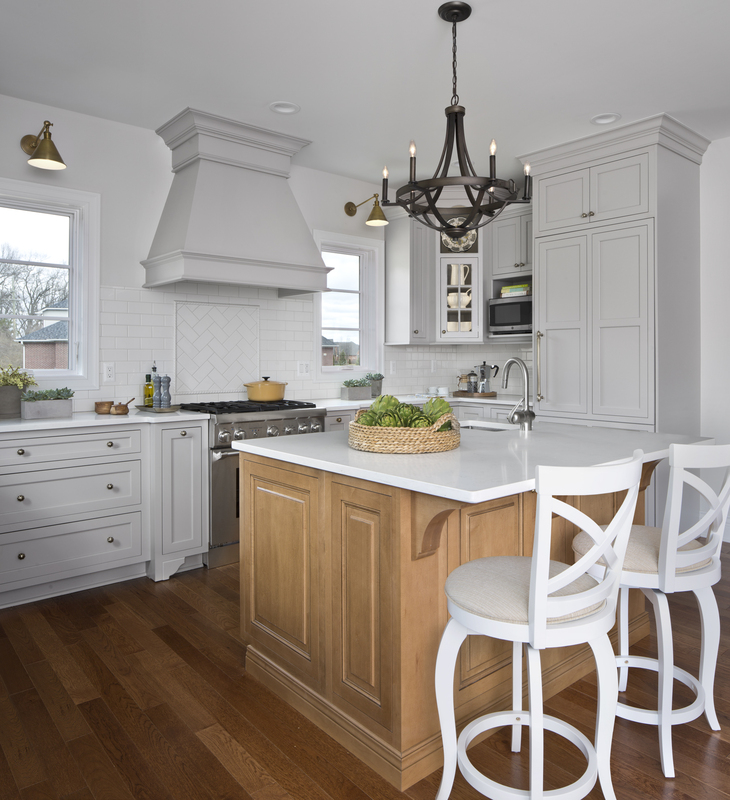 Consider an all wood island with white or gray surrounding cabinetry. Want to go even more bold? 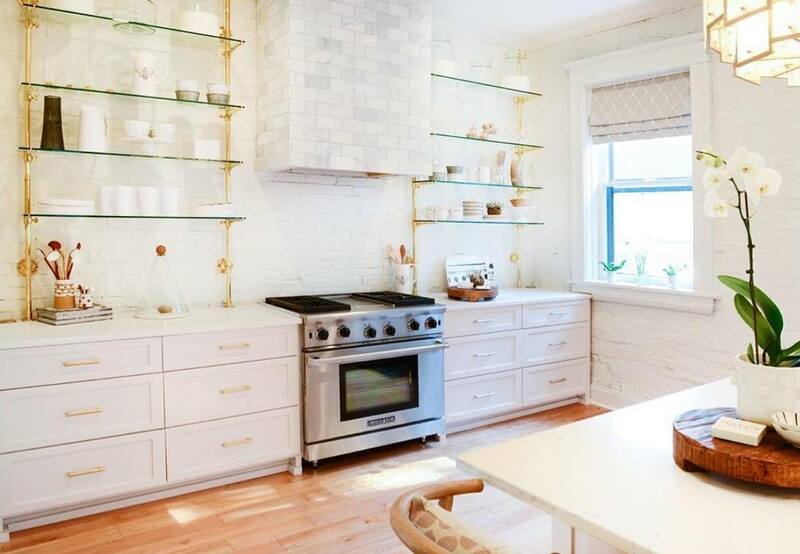 We’re loving the appeal of white uppers and wood or dark painted cabinetry lowers. Contrasting textures: This year, we’ll be seeing a combination of contrasting textures and sleek finishes. 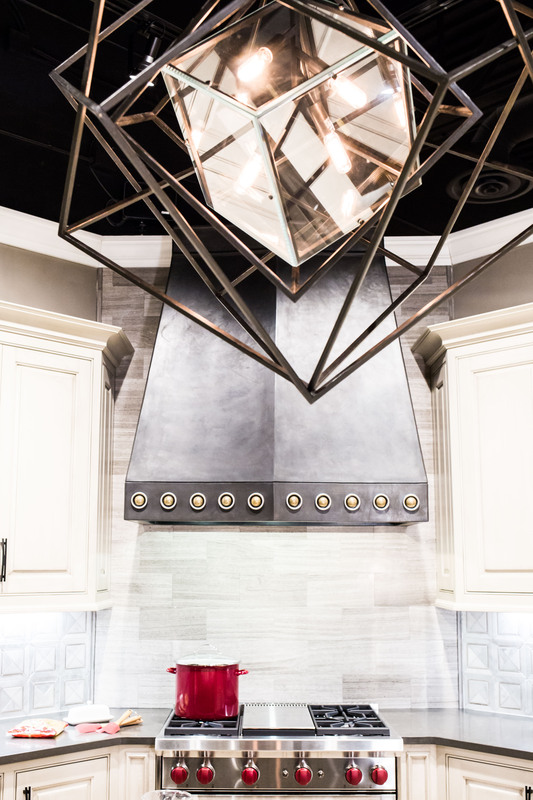 Think mirrored and metallic backsplashes, high polished worktops and cabinetry with inlays in amazing metals. Wood design elements: Adding wooden elements into your kitchen brings a certain type of warmth to the space. 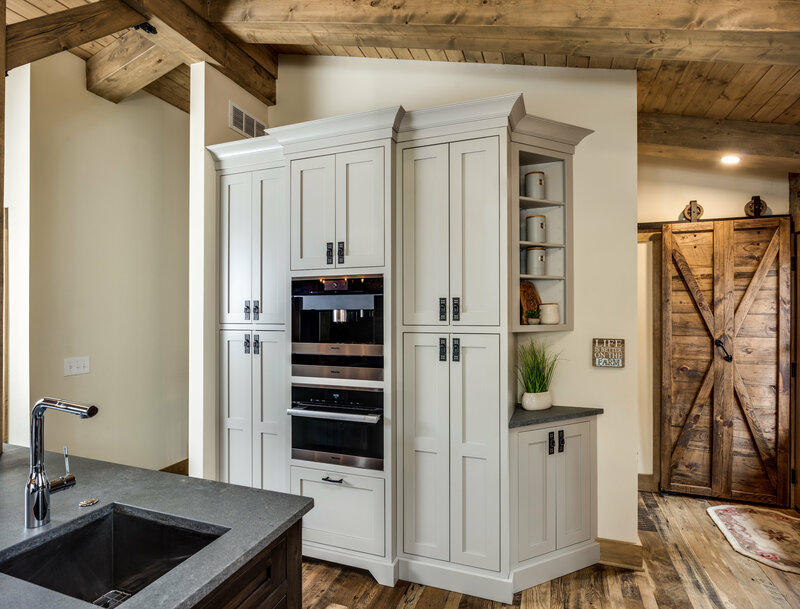 Keep an eye out for wood elements in open shelving, statement hoods and even countertops. 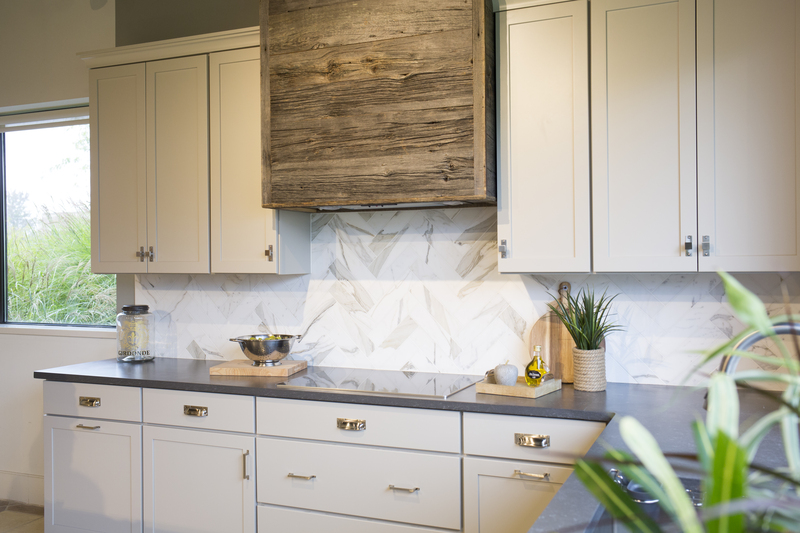 So that’s a wrap for 2019 kitchen design trends! 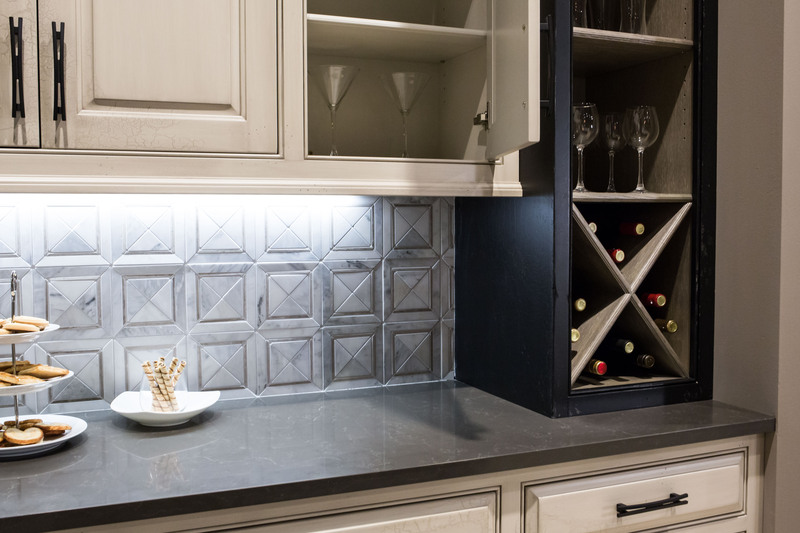 Who’s ready to start incorporating them into your kitchen remodel?